Q: Would these stay on while running? Just wondering how secure they are? A: As long as you have adjusted the ear cups correctly they'll be absolutely fine. Ran for 30 minutes on a treadmill and didn't have to adjust them whilst running! These exceptional headphones come in a sleek and compact box. Inside, the headset is well packaged and incredibly secure to avoid damage. There is plenty of cardboard covering and even a moulded casing for the headphones to sit in, secured by twist ties. It doesn’t take a great deal of time to unpack, and you can tell it has been packaged carefully and with the product’s security in mind. Setting it up could not be simpler. After making sure the Bluetooth was activated on my phone, I simply turned the headphones on and allowed the devices to pair. Once that was done I was ready to go and could start listening to my music immediately. The matt black colour gives them a modern and stylish appearance. The headphones are noise cancelling so you can really get into the music, but they do not completely get rid of the outside noise (unless you turn it up really loud). This is good for staying aware of your surroundings but also excellent if you are waiting for a phone call or something similar in the other room. The additional Bluetooth features are superb, and they work perfectly. On the right earphone there are a range of buttons for you to use. They allow you to easily change tracks while you are listening to music and to adjust the volume. You can also pick up calls while you are on the go with the call button, and the built in mic offers excellent quality. It makes everything easier so that you don’t need to stop while you are out and about. They fit nicely on the average sized head as well. For me, they did slip down once or twice, but I have a smaller head than most people. Even with the adjustable bar they did not quite sit tight. However, I did manage to make them stay a few times. This was a little disappointing as I really enjoyed using this headset, I would have liked it if you were able to make further adjustments with the bar. They have been designed with comfort in mind. Once over your ears, it almost feels as though they are being caressed by these soft Sony headphones. They are exceptionally comfortable, which was important to me as a person who gets sore ears quite quickly. After several hours wearing them, they were just as comfortable as when I first put them on. The battery life is incredible at a huge 30-hours, so you can listen to music on your way to and from work or your daily errands without worrying that they are going to run out of charge. When the headphones do run low on battery and they need recharging, it only takes four hours and they can be plugged into any USB port to do so. In addition to all this, they are extremely portable. 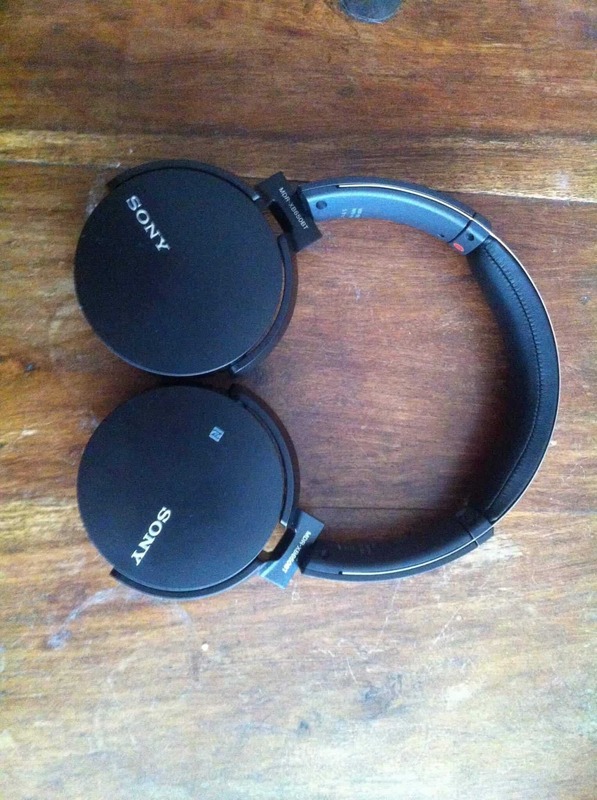 While they don’t come with a bag or case like most other Sony headphones, but the ear pieces’ fold away nicely to keep them safe and as free from damage as possible. The only thing is that they feel quite fragile, so care should be taken when storing and transporting these headphones. These headphones have exceptional sound quality that really allows you to hear everything that makes the music you are listening to so good. You are able to pick out the sounds of individual instruments and hear things that you may not have noticed before. I listened to a range of music genres with these headphones, and each felt like a new experience – especially the rock and country music. Every sound is given a new form of clarity, and the experience is completely immersive. Even when you are listening to the radio, the voices are clearer than on any headset I have listened to them on. The fact that they are Bluetooth means they can be paired with any device that has Bluetooth. I used this headset while playing online games on my PC and it worked a treat. Everything was crystal clear, creating a fully immersive experience. It was like starting the game experience all over again as I heard things I had never noticed before on both the speech and the musical soundtrack. They were truly fantastic to use throughout. 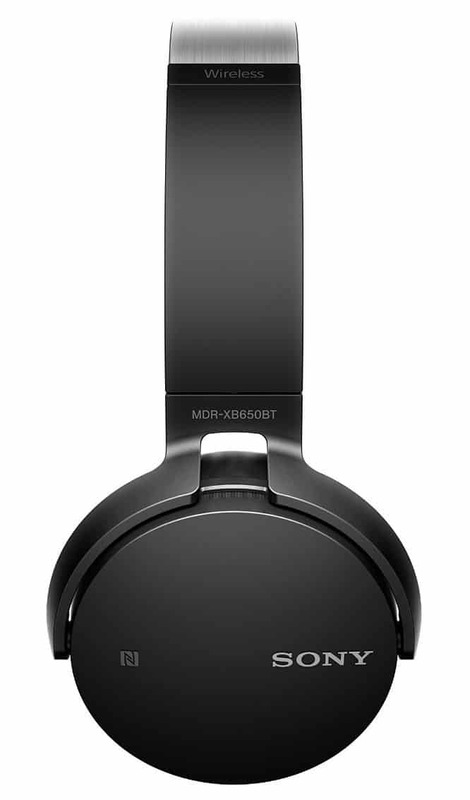 Plus, they offer a deep bass for truly punchy sound, which is unlike any other headset. It’s resonating and extraordinary. 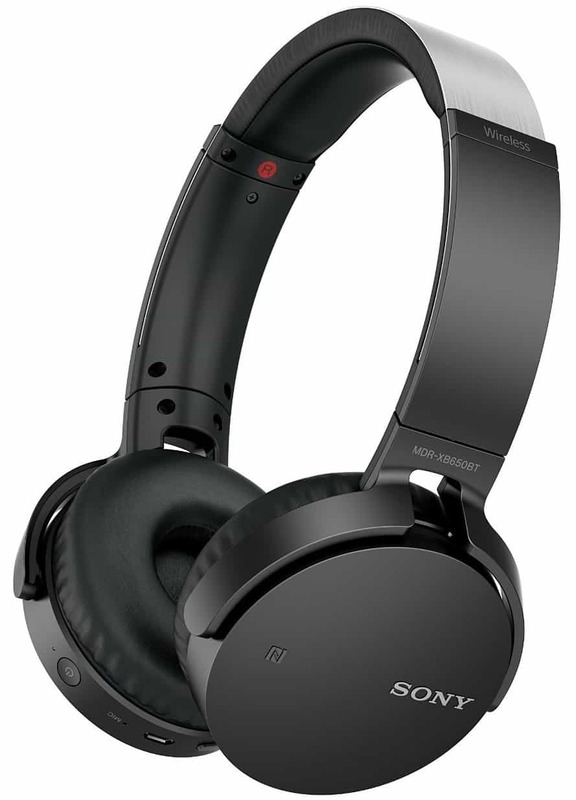 Fantastically with this Sony headset, the noise cancelling features means there is little to no sound leakage – so you can listen to your music loudly without it disturbing the people around you. The Bluetooth call features produce a very clear sound as well. 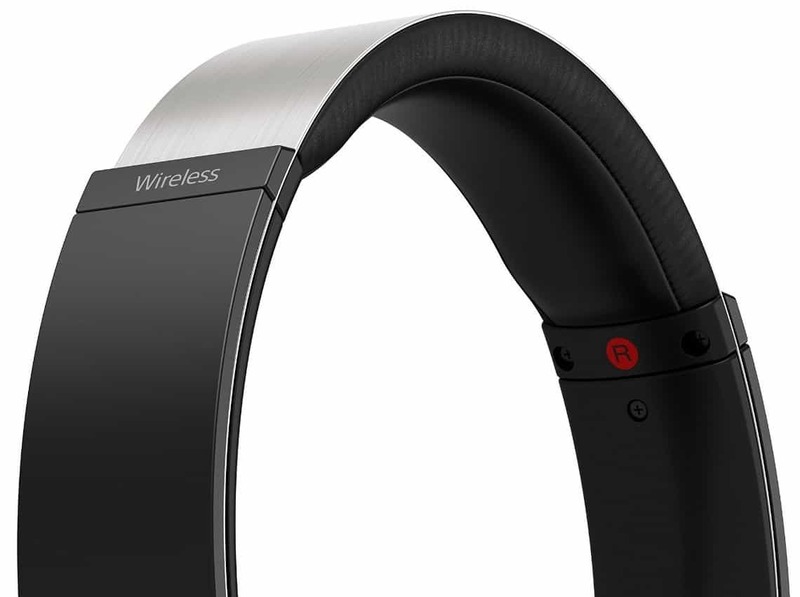 Often, you will get a crackly connection with wireless headsets that you can answer calls on. With this, there is no problem – even if the connection goes through a wall. This also applies to listening to music or films from your phone or PC – the sound will continue to travel through a wall and up to a distance of ten metres. This makes the listening experience much more portable, but also means you won’t need to worry about the connection breaking up and the resulting cracking sound. These headphones truly make for an excellent level of quality with clear and consistent sound. Further Reading: Over Ear vs On Ear Headphones - What's the Difference? 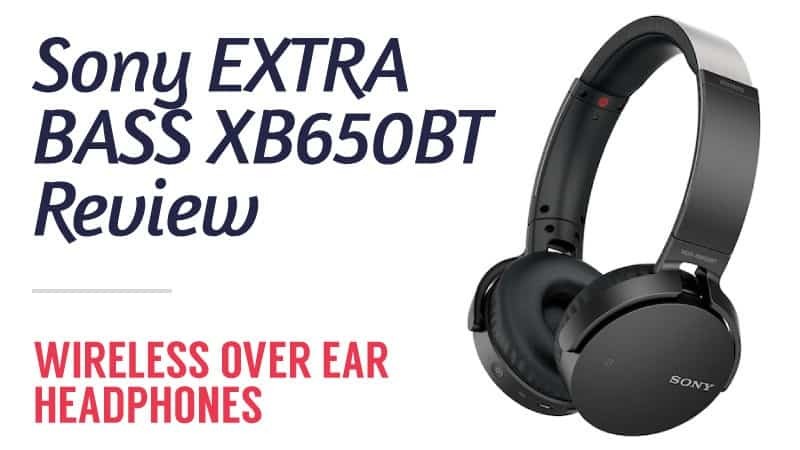 Sony EXTRA BASS XB650BT Wireless Over Ear Headphones: Should You Buy It? If you are looking for a sleek pair of headphones with exceptional sound quality, then these might just be perfect for you. They offer an outstanding level of comfort so that you can go for hours wearing them with absolutely no issues or discomfort afterwards. 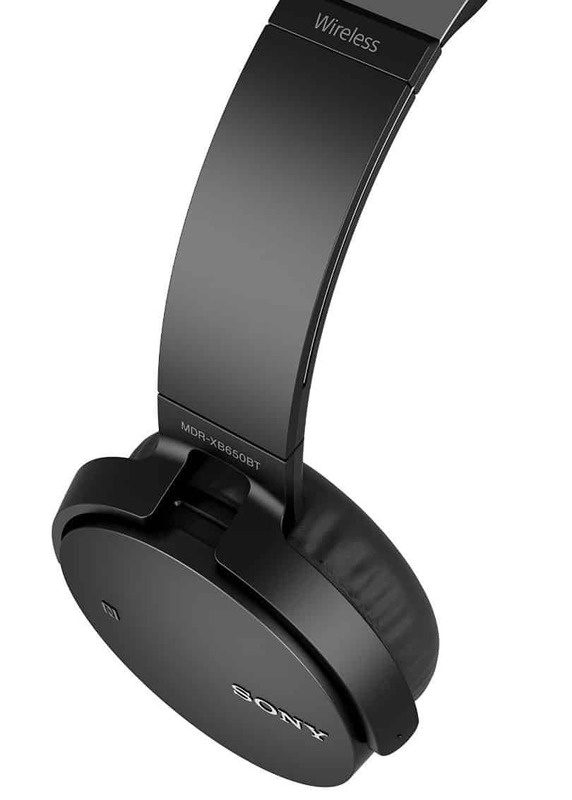 Plus, the relatively short charging period (compared to other wireless headphones) is fantastic, and offers 30-hours of use once fully charged. So whether you plan on listening to music, watching films, or playing video games, you know this headset will serve you well. The price may appear a little intimidating but it is worth the extra cost and you really do pay for the level of quality with this headset. They are ideal for those who walk to work or like to take part in a jog most days. After all, not only do they remove the distraction of surrounding noise, but you never have to stop while you’re running to pick a call up again – it’s all there at the click of a button. So you can run without interruption and still take phone calls, you can even change the tracks and volume of your music without changing pace. 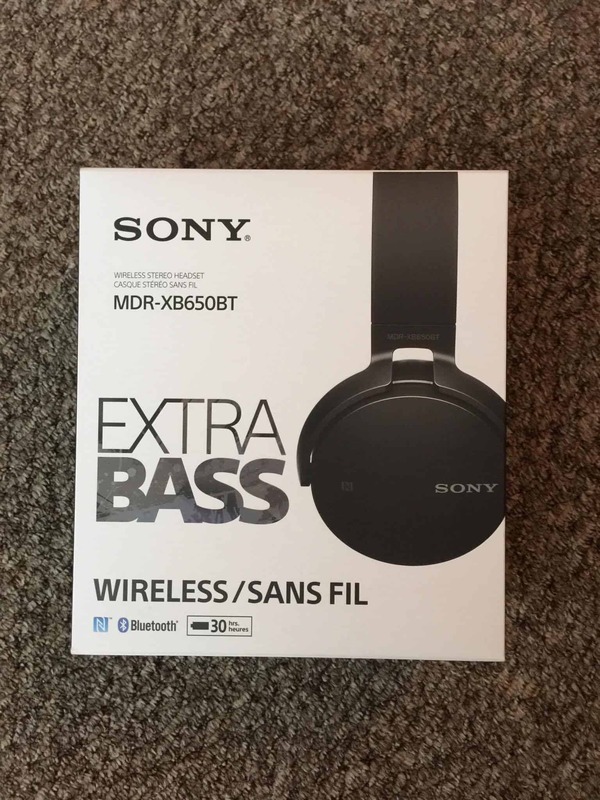 These extra bass headphones from Sony are comfortable, portable, and offer a level of sound quality unlike any other headset on the market. While they aren’t always suitable for very small heads, they fit the average sized person incredibly well, and are adjustable to make them larger. The sound quality is crystal clear, allowing you to pick out things you may never have heard before. It’s truly exceptional and the best feature of this particular model. Of course, the Bluetooth capabilities are also a massive benefit, especially to those who don’t like to stop and fiddle with buttons. The noise cancelling features are great if you don’t want to be disturbed on your journey, and the minimal noise leakage allows you to listen to your music loudly without disturbing the people around you. The only real downsides to this particular set of headphones is that they do feel a little fragile and as mentioned they are not suitable for people with small heads. However, they are a fantastic buy overall and excellent value for money.